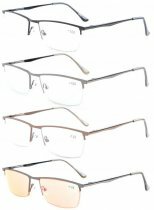 PRODUCTS DIMENSION-Frame material: Metal, Lens width: 2 1/16" (53mm), Frame width: 5 7/16"(138mm), Lens height: 1 1/4" (31mm), Frame height: 1 5/16" (33mm), Bridge (DBL): 11/16"(17mm), Temple length: 5 1/2"(140mm),Spring hinge: Yes, Lenses: Aspheric, Head size:Narrow to Medium. 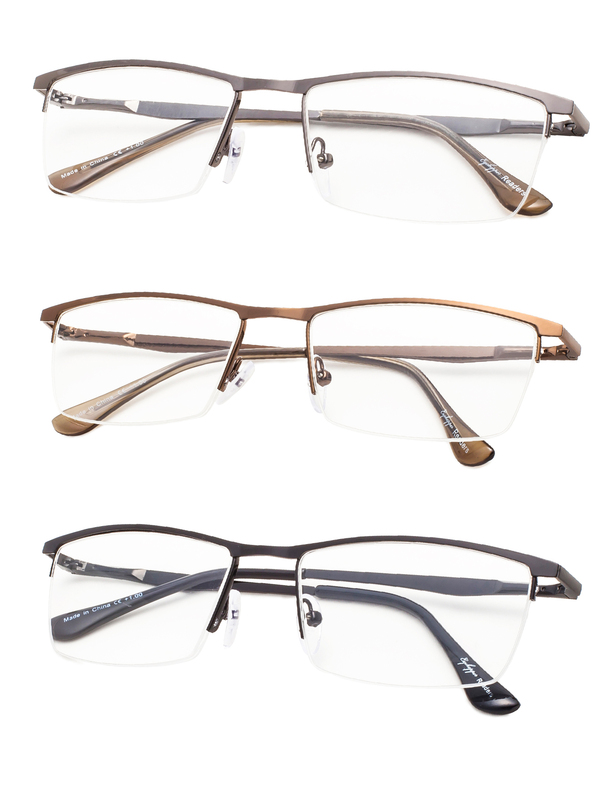 EYEKEPPER HALF RIM READING GLASSES-4 pack at 1 Low Price,Sets come in 1 power of your choice. These are not mixed powers.